What are Shark Wheels? Essentially, Shark Wheel has put their own unique spin on on skateboard wheels. 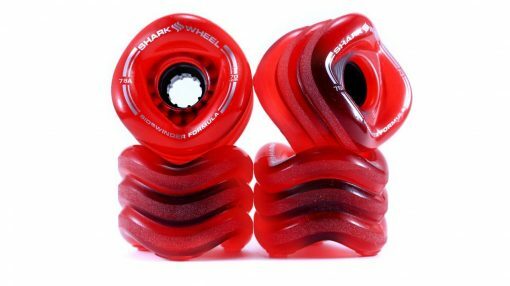 Shark Wheels are going to provide a variety of benefits to your overall riding experience. First, Shark Wheels provide more grip and slide control through an increased surface area. The unique wave design provides three lips per wheel for awesome lateral grip. Secondly, the wave design of the Shark Wheel creates smaller contact patches creating less friction and an overall faster ride. Lastly, the alternating groove patterns push water, dirt or gravel away from the main surfaces of the wheel allowing you to tackle just about any terrain. 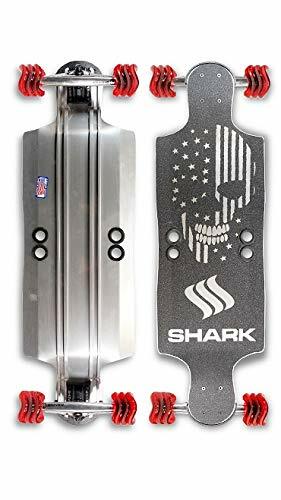 Shark Wheel All Terrain Skateboards also come in a variety of different shapes and sizes to cater to your specific riding style. Shark Wheel decks include drop down, drop through, pintail and top mount. Some of the different materials used in these decks include maple, carbon fiber and even aluminum. 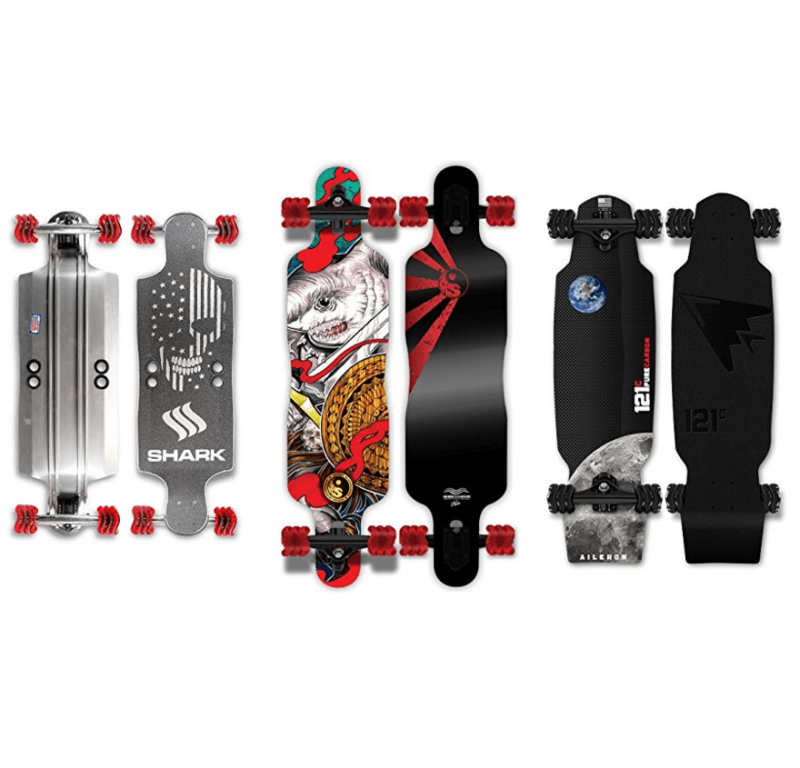 Let’s take a closer look at some of our favorite Shark Wheel all terrain skateboards! One of our favorite boards has to be the 35″ Shark Aluminum Drop Down. This skateboard is great for cruising and free-riding. Another favorite here at Wild Child Sports has to be their carbon fiber board. 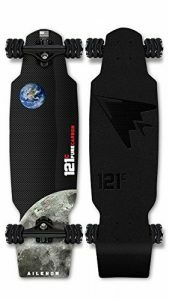 Everyone needs an indestructible, carbon fiber skateboard in their quiver! 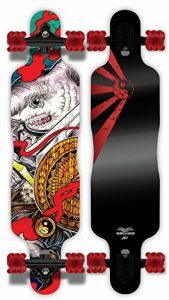 For you more advanced riders looking for a fun symmetrical freeride board, look no further than the Shiver Dakuwaqa! Check out the Shark Wheel All Terrain Skateboards in ACTION! So what are you waiting for? Get your Shark Wheel all terrain skateboard TODAY! Be sure to also check out some of the other great skateboards brought to you by Wild Child Sports.